In op-ed, Rep. Ilhan Omar argues Israel is also the homeland of Palestinian Arabs, calls for two-state solution. Rep. Ilhan Omar (D-MN) on Sunday wrote an op-ed in The Washington Post in which she argued that Israel is also the homeland of Palestinian Arabs. Omar also argued that working toward peace in the Middle East means holding everyone involved accountable for actions that undermine the path to peace, including Israel. “My goal in speaking out at all times has been to encourage both sides to move toward a peaceful two-state solution. We need to reinsert this call back into the public debate with urgency. Both parties must come to the table for a final peace deal; violence will not bring us any closer to that day,” she continued. Omar’s piece follows the controversy she caused recently with remarks deemed to be anti-Semitic. Omar came under fire after she suggested on Twitter that Republicans were attacking her at the behest of the pro-Israel lobby AIPAC. She subsequently issued a half-hearted apology before ultimately deleting the controversial tweets. 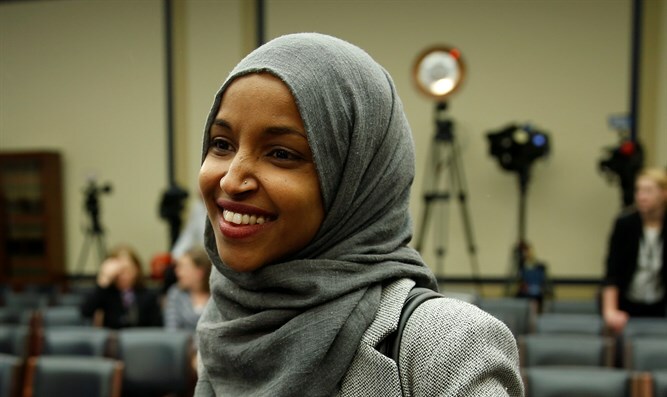 Omar later caused another uproar when, at a public event, she appeared to refer to domestic support for Israel as “allegiance to a foreign country”. The remarks led the Democratic leadership in the House of Representatives to work on a new resolution condemning anti-Semitism. However, the resolution was watered down to include condemnation of all forms of bigotry after objections from some Democrats. The watered-down version was ultimately approved by an overwhelming majority. US President Donald Trump condemned Omar’s remarks, saying “she should be ashamed of herself” and calling on her to resign from Congress. Trump has also been critical of the Democratic party for failing to condemn Omar, suggesting to reporters last week that the Democratic party has become an “anti-Israel” and “anti-Jewish” party. Former US Senator Joe Lieberman, a Democrat who later became an Independent, said in an interview on Sunday that the Democratic Party "is not an anti-Jewish party" but that it has members who say anti-Semitic things, while specifically naming Omar.